A new chapter for Decima? News today that sb Decima is up for sale. 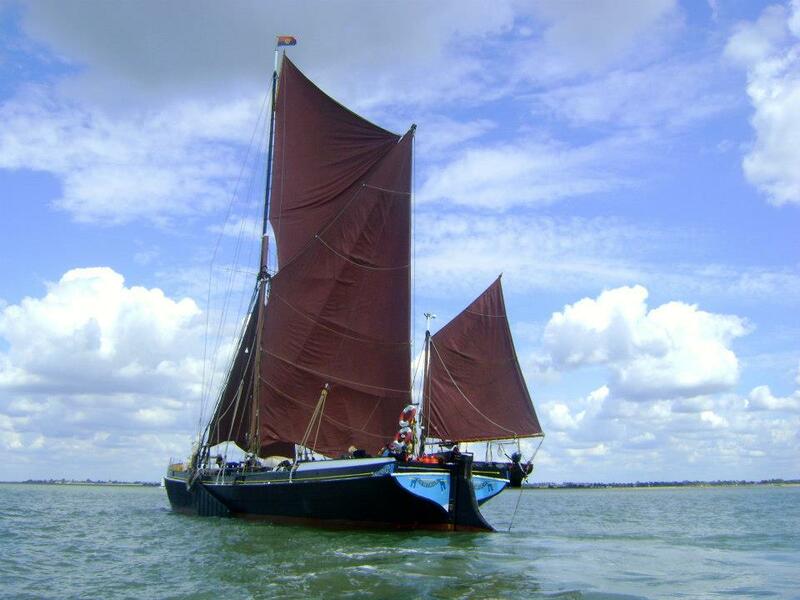 The Apollo Duck website has an advertisement from MJLewis Boatsales of Maldon offering the 1899-built Thames sailing barge for sale at £160,000. Decima off Southend Pier, Southend Match 2013. 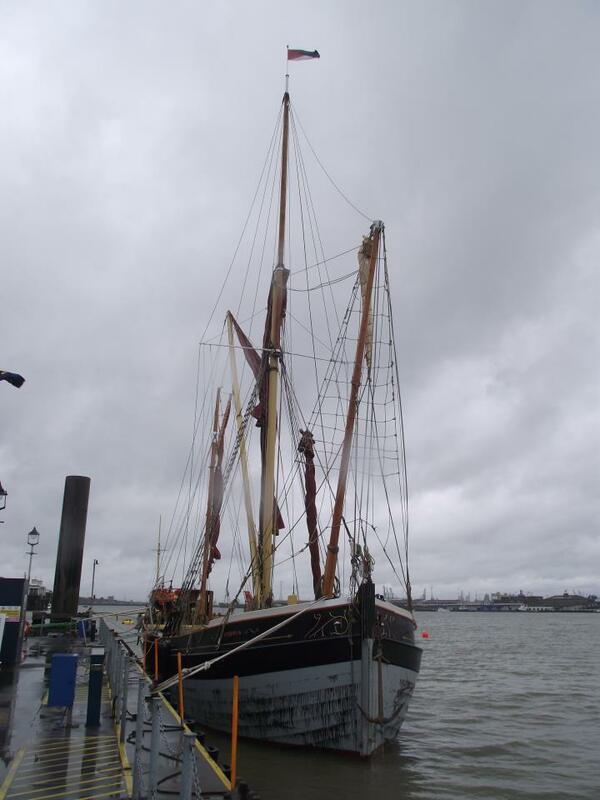 Decima was built by FG Fay & Co of Southampton, being one of twenty identical steel barges built by the company for EJ Goldsmith’s of Grays, who traded her until the late 1940s. The 67 ton, 85 foot barge’s history includes ownership by Rayfields of Gravesend, and then Greenhithe Lighterage as a motor barge. 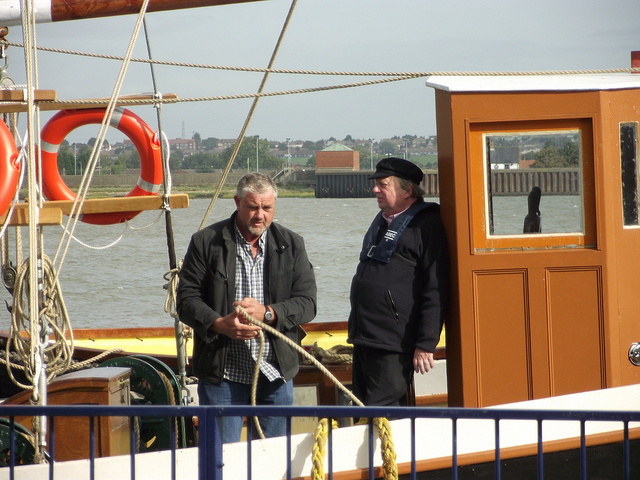 She was sold out of trade to Dennis Wildish in 1977 and he re-rigged her as a charter barge. In 1999 she was sold to Jeremy Taunton as a houseboat. 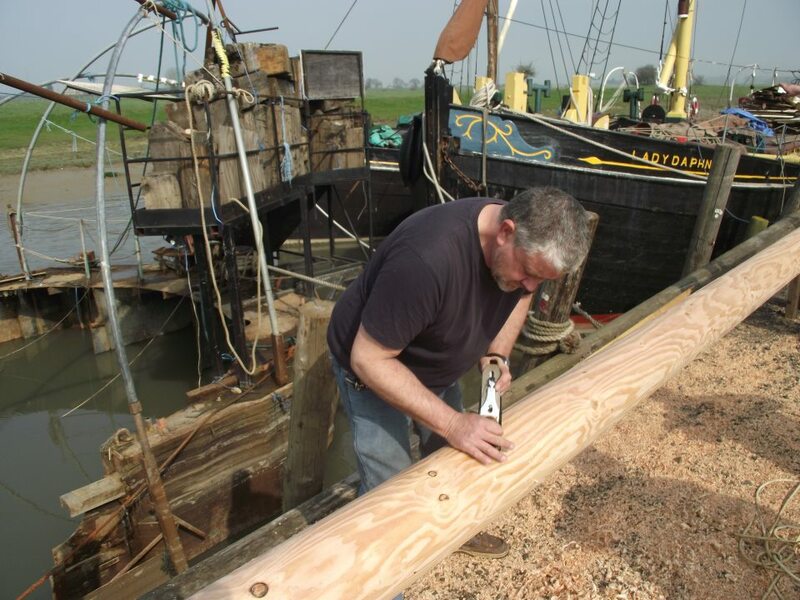 Master shipwright and well-known sailing barge restorer Tim Goldsack, her present owner, bought Decima in 2003 and started a major restoration. She was gutted and a substantial number of the hull and deck plates were replaced. 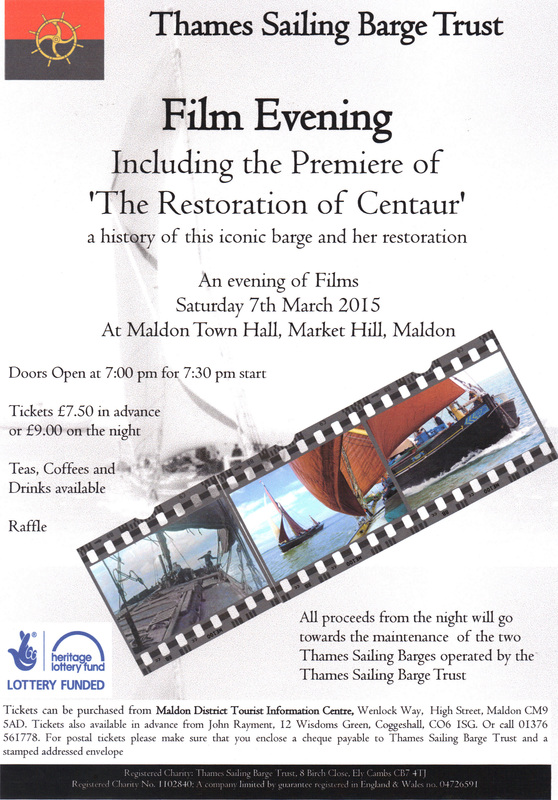 She was given a new set of rigging and good second-hand sails. A new Gardner 6LXB engine was fitted. Decima has three cabins, with six berths, and central heating was installed when her owner lived aboard her for two years. In July 2004 Decima set her sails for the first time in over 15 years, and has since been seen regularly around the East coast. 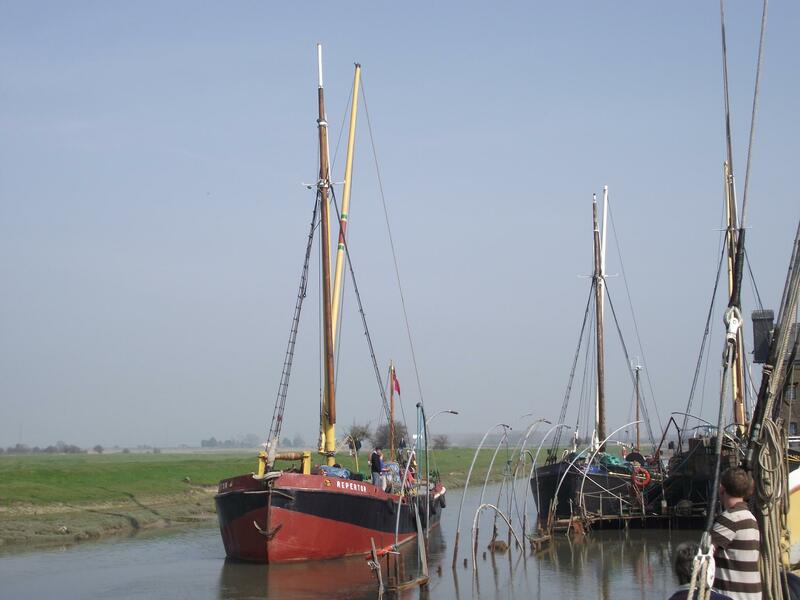 She has recently been based at Heybridge Basin, and in 2010 Wilkin and Son Ltd of Tiptree, Essex, (the famous makers of jams, marmalades, and conserves), became her sponsors. 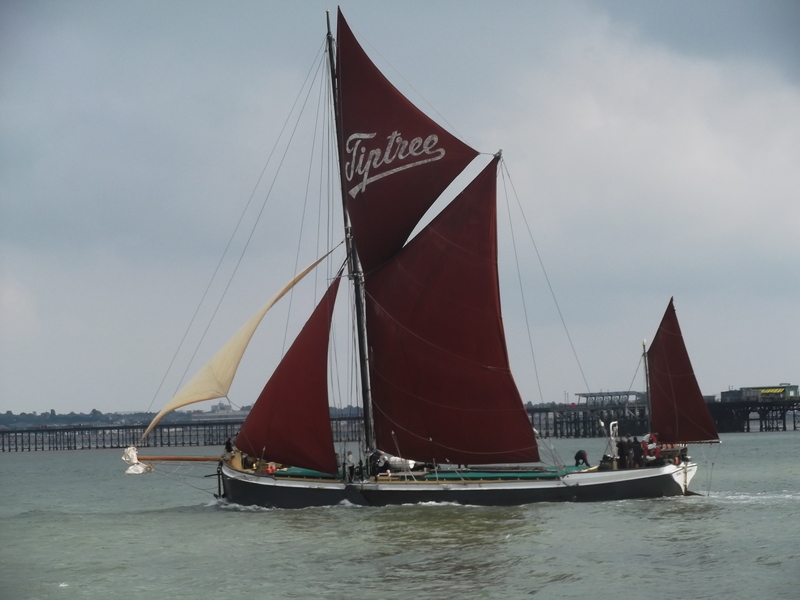 Consequently the Tiptree logo has been displayed in her topsail. According to the advertisement Decima is now at Faversham. Here’s the link to the advertisement on the Apollo Duck website.